BAM Volunteer Lifeguards, Watchers & Registration People are needed for the BAM Reservoir Swims for 2019. There still is a Lifeguard &/CPR Training session available on April 27th. 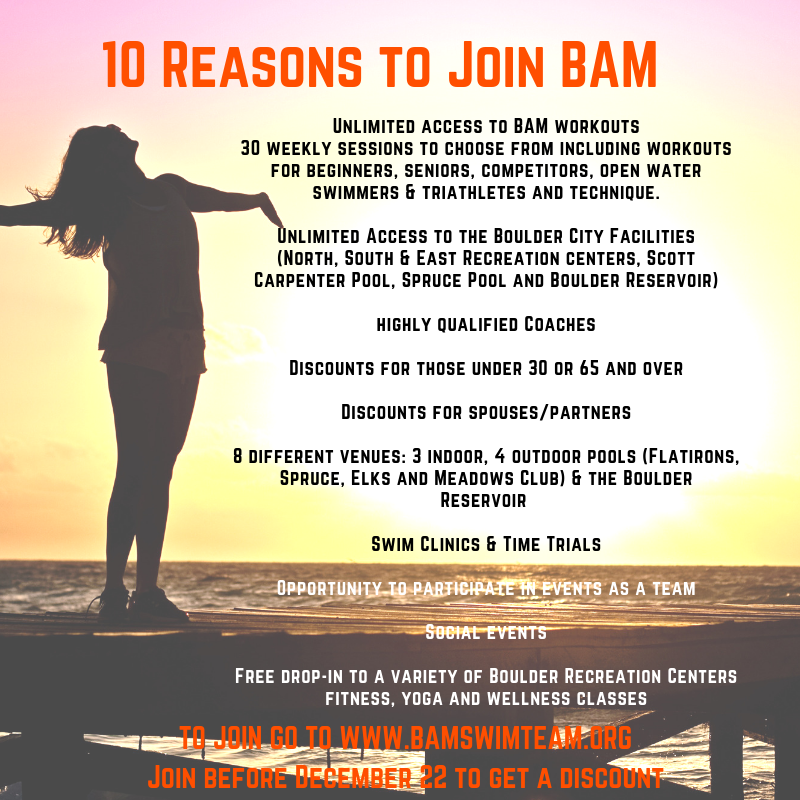 Because Scott Carpenter Pool will be closed for this summer, I am working hard to make sure that BAM swimmers have as many outdoor workouts (as well as indoor workouts) around the community for your summer swim schedule. Stay tuned for the schedule. RENEW YOUR BAM MEMBERSHIP TODAY AND SAVE! *You can try two classes for free. BAM Volunteer Lifeguards, Watchers & Registration People are needed for the BAM Res. Swims for 2019. Boulder Aquatic Masters (BAM) is a non-profit United States Masters Swim Club for swimmers of all levels and ages.